Whatsapp new app with better communication targets the businesses. WhatsApp, if you didn’t already know it, has a massive user base. Chances are that you’re part of it. More than a billion people around the world fire up the messaging app every day, with a growing number of people using the service to converse with businesses. The Facebook-owned startup has decided to lend the smaller outfits a hand, launching a new app called, would you believe, WhatsApp Business. Its main goal is to improve the app’s ease of use for companies dealing with a large number of WhatsApp messages on a daily basis. Specifically, WhatsApp said the app is aimed at making it easier for businesses to respond to customers, and separate customer and personal messages. Overall, it should help them to create a more official presence on the platform. One obvious difference to the regular app is the addition of business profiles that let companies include more information about their business, such as a description, address, and website details. The free app also comes with smart messaging tools designed to offer fast answers to FAQs, as well as greetings messages that introduce a potential customer to the business, and “away” messages so customers know you’re busy. Potentially useful messaging stats are also part of the package. WhatsApp Business is available now for businesses in the United States, United Kingdom, Italy, Mexico, and Indonesia, and is coming to the rest of the world in the next few weeks. But take note, at launch the app is an Android-only offering. Perhaps the only surprise about WhatsApp launching the new business-oriented app is that it’s taken it this long to do so. The move will be seen by many as a notable step toward the company monetizing its service, something that Facebook CEO Mark Zuckerberg has been hinting at doing pretty much ever since he bought the startup for $19 billion in 2014, five years after it launched. 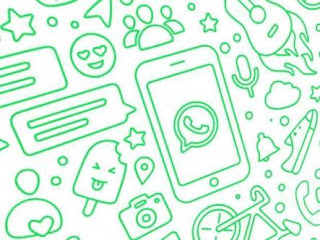 WhatsApp CEO Jan Koum and Zuckerberg have been happy to play the long game when it comes to making money out of the messaging app, which has always been cautious about introducing revenue-generating schemes such as ads. Instead it’s been trying over the years to get regular users comfortable with interactions with businesses, with a possible view to charging brands for the valuable contact opportunity. The new WhatsApp Business app is another step toward that goal.